We release movies (both domestic and foreign), including our own films, mainly through our directly managed theaters and cinema complexes operated by the subsidiary T-Joy Co., Ltd.(including joint operation with others). 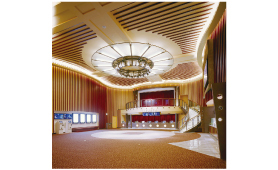 We introduced the digital cinema system, which does not use film and therefore generates no deterioration, into all our own theaters and T-Joy cinema complexes. In addition, in order to achieve theaters that the customers need, in addition to actively introducing the new 3D system, we have been planning and developing ODS (Other Digital Stuff), which refers to the screening of content other than movies, and thereby sponsoring the showing of concerts, sports and other contents. Packaged video software, such as DVDs and Blu-ray discs, as the third medium following theatrical movies and television have now been around for a long time; in fact, the software is indispensable in our lives as a visual entertainment tool. Against this background, we continue to plan and sell video software products making good use of the advantages of personal media and have been leading the new visual entertainment market. The number of titles we annually handle (both for selling and renting) exceeds 500. In addition, we offer a wide variety of genres, including movies released in theaters, anime, special-effects superhero dramas, and direct-to-video motion pictures. Our video distribution services focus on the sales of our own content to distribution media and the distribution of movies on iTunes in Japan. As a business on cell phones, we operate more than ten official mobile websites via three major carriers (NTT DOCOMO, au, and SoftBank), as well as working on the distribution of music for ring tones and video products, including superhero and anime productions. 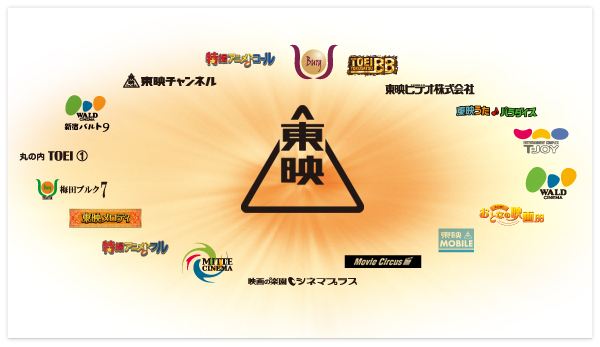 In addition, we are tackling new businesses by producing special content for video distribution, working on the transition to the distribution business compatible with multi-devices, such as smartphones and gaming machines, and operating Cinema Plus, a distribution business company established with investments by Toei and other major domestic movie companies in response to the growth of the video on demand (VOD) market.